Input text: The beach backdrop. A first large purple music note. 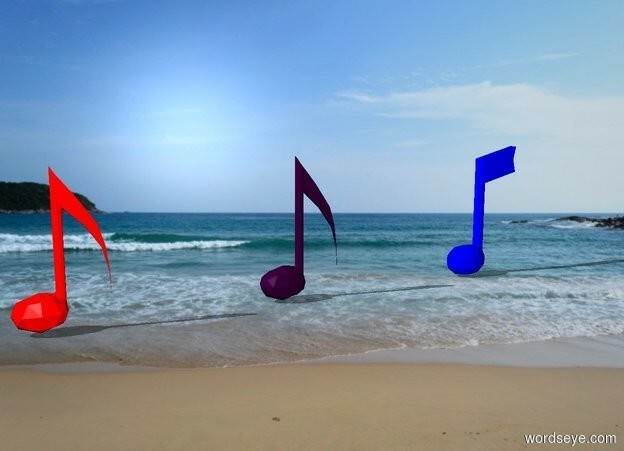 A second large red music note is 4 feet to the left of the first music note. A third large blue music note is 4 feet to the right of the first music note.